Fearless is my new favorite biography. 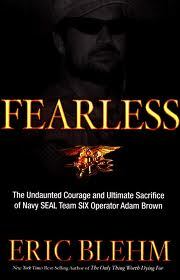 Navy SEAL Operator Adam Brown was a fascinating and inspiring person and Blehm’s writing captivates Adam’s story thoroughly and excellently. I was quickly caught up into the details and struggles of Adam’s early life, and inspired and awed by his motivation, boldness, and extreme love for God and life in his later years. Adam Brown’s progression of faith and his testimony in Jesus Christ is, in fact, a large part of his story and one of the aspects I deeply connected with. I also enjoyed the glance into the inner workings of the Navy SEALs and was surprised by how much the author was able to publicly share regarding various missions and SEAL life. I’ve never been a part of a military community or given much thought into military life, and I felt that this book helped me to consider that part of my country in a deeper way. This is a very action oriented story with a good amount of humor, but also a very emotional one–and I’m not a terribly emotional reader. I found that although I was prepared for Adam’s heroic death to be described at some point within the book, I couldn’t help but sob when the events unfolded. 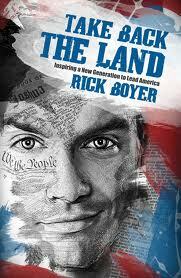 It’s a touching biography and will especially be appreciated within the Christian community. I am very pregnant and, though not overdue, quite ready for our newest family addition to arrive. To be most honest, I’m past ready, and have been struggling with impatience. My first son came so suddenly that I’ve had an expectation that this one might come early too (he’s already later than his brother), and I’ve been maybe a bit too zealous in watching for signs of impending labor and hindering life-as-normal just in case the baby may arrive any moment. It seems that these Christians in their zeal had misunderstood the spiritual season of their time and put life on hold—quitting their jobs and living off of others—because of their certainty that the Lord would come at any time. Their behavior is almost enduring and goes hand in hand with a long list of praise and encouragement from Paul regarding their faithfulness toward God, and yet they were deceived by their assumptions and made a couple bad choices. It’s been my mission the past couple days to relax and think less about my upcoming labor. I want to be alert—and I’m so excited for this moment that it is impossible for me not to be—and yet I do not want to be paranoid over every possible symptom or so expectant that I put my normal life on hold. It is an interesting balance to anticipate an event with zeal without going overboard. Paul admonished the Thessalonians to keep living and doing the good things they know to do (2 Thess 2:15, 1 Thess 5:11-28), and I’ve been praying that I’ll be able to relax and enjoy these last pre-baby days as well. Implosion is a timely call to examine the current social, economic, and spiritual conditions of the United States, especially in the context of end time biblical prophecy, and to take action through prayer and personal revival. I’m often turned off by political books, but found this one to be clearly and respectfully written, with a balanced presentation of the facts at hand–especially in regard to the nation’s political and economic situation. 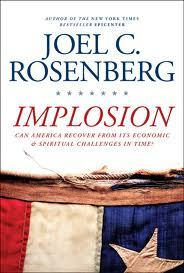 Rosenberg first presents both optimistic and pessimistic perspectives of where our nation stands (based largely on the statements of politicians from both major parties, economic advisers, and the media), then compares both scenarios to scripture to analyze whether or not the United States is mentioned as a key component in end time prophecy, and the implications of these findings. He also presents some of the basics of eschatology from a premillennial pre-tribulation perspective, spending thorough energy on the signs of the times and a chapter on the rapture. I do not agree with the pre-tribulation/silent rapture scenario, but it is the majority view of the church, and it did not prevent me from engaging with some of the other details of the book. The second half of the book focuses on the First and Second Great Awakenings in order that the patterns of history may give us clues to whether the U.S. may experience a Third Great Awakening, and what, if anything, we can do to usher in that revival. I’ve studied a lot of church/revival history and appreciated Rosenberg’s outline of a few most noted revivalists. It especially caught my attention that the Wesley brothers were not born again until a certain point within their ministries, and that as soon as they personally received salvation on a heart level their ministries supernaturally expanded. Rosenberg makes a good case that revival of our hearts and spirits individually is necessary before the revival and transforming of a people group or nation, and his examples and exhortations are encouraging along those lines. This is a book that can stir hearts to see the dire position we are in as a country and to have hope in God that if we individually start changing our personal spiritual atmospheres, it may just be enough to impact our communities and nation.